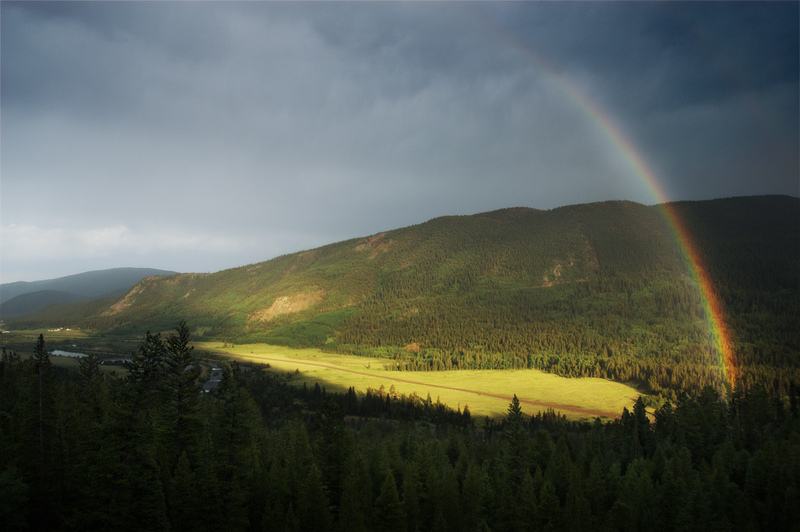 Hauling along on the ATV on Rollins Pass in a torrential rain storm, I turned the corner and the valley opened up, revealing this last burst of sun through the clouds. It almost felt like I could reach out and touch the rainbow. that’s the closest end of a rainbow that i’ve seen.. 🙂 pretty cool catch! Same here, it certainly took me by surprise! Wowser! I bet you could even find a pot of gold…if you had a chance to look, Will! Rainbow’s are always amazing, and the way this one almost cut’s through the landscape is what makes this into a beautiful image. Beautiful light in this magical image! That’s what I call a mystical rainbow.